Humans built the Fallow Wall to protect themselves from invading demons, succeeding in their endeavors for a time. Beyond this wall there is a collection of neglected buildings that have become the hiding places for various creatures. Amongst these, lurking in the depths of the dark, is the vampire king Dracul. Dracul extends his influence over the many monsters dwelling near the Fallow Wall, sending waves of hideous creatures to prey on unsuspecting adventurers. 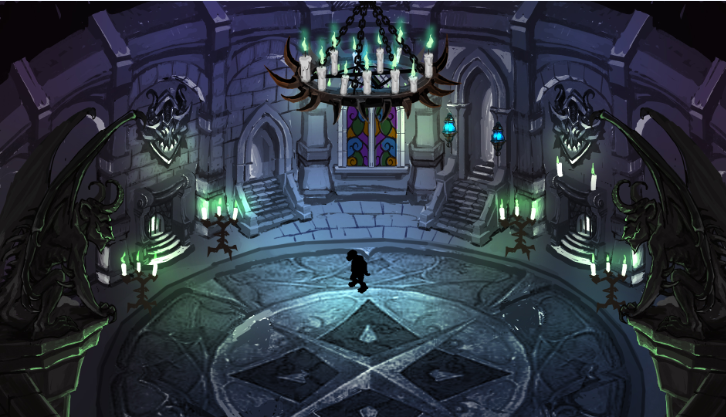 If you do succeed in entering Dracul's crypt, you will cross paths with many vile and powerful monsters in each room. However, it won't be so easy to reach Dracul himself. He is protected by an entourage of trusted demons: Serkatet, Yoggon, Talim, Gargon and Lanius to name but a few.